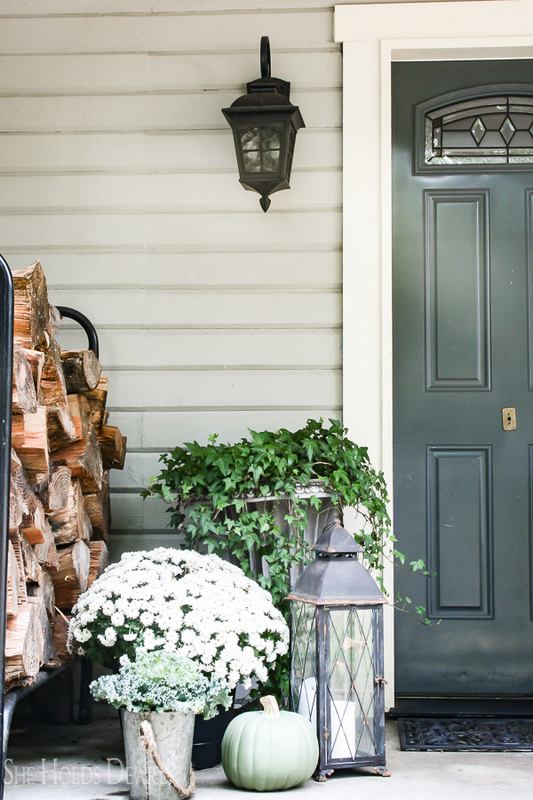 Welcome to my front porch today for a little tour and hopefully, some farmhouse fall inspiration. 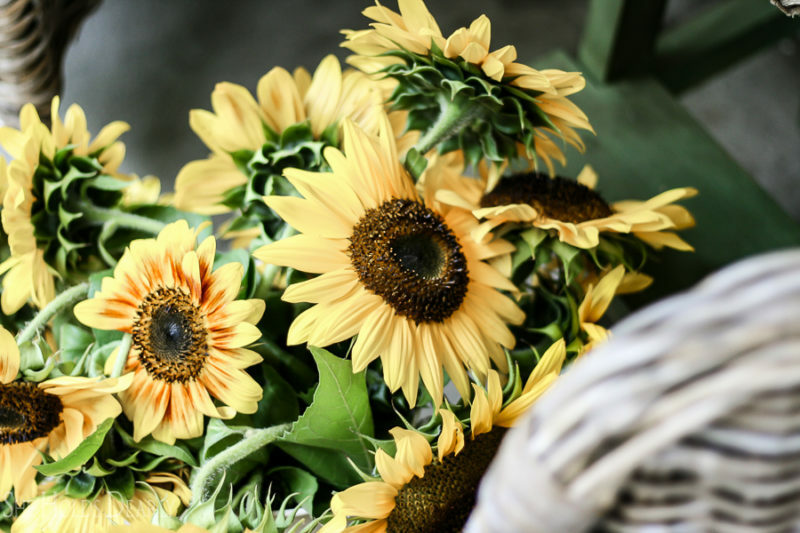 A heartfelt thank you to Kirkland’s for sponsoring this post! Be sure to scroll to the bottom for rest of the tour links and to enter to win our giveaway. Kirkland’s is generously offering $1,500 to their store to one lucky winner. 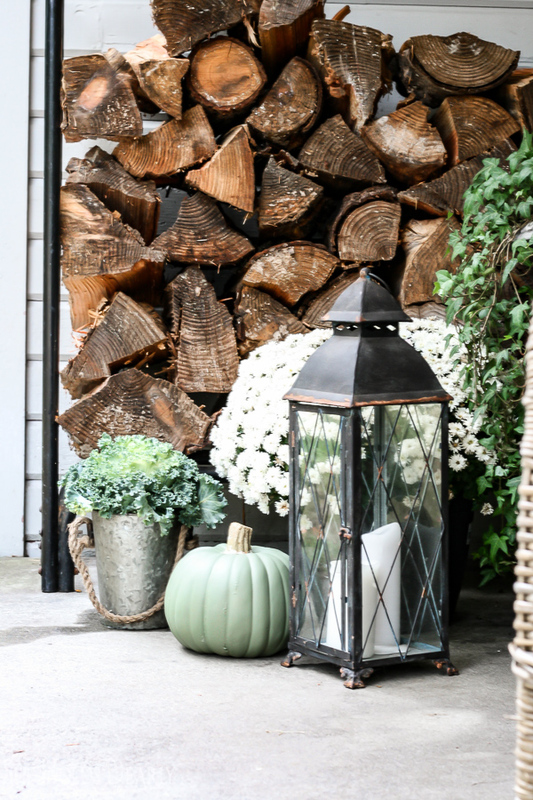 In my last post I shared my Favorite Fall Decorating Trick. It works great for the planning stage, once I know what direction I want to go then I think about incorporating pieces from my life that are very sentimental to me. This is a step that, sadly, I found missing in a lot of homes when I was taking clients for interior design. Whenever you can, try to incorporate pieces in a room that remind you of happy times from your life. Did I ever tell you I was born and raised on a cattle farm? 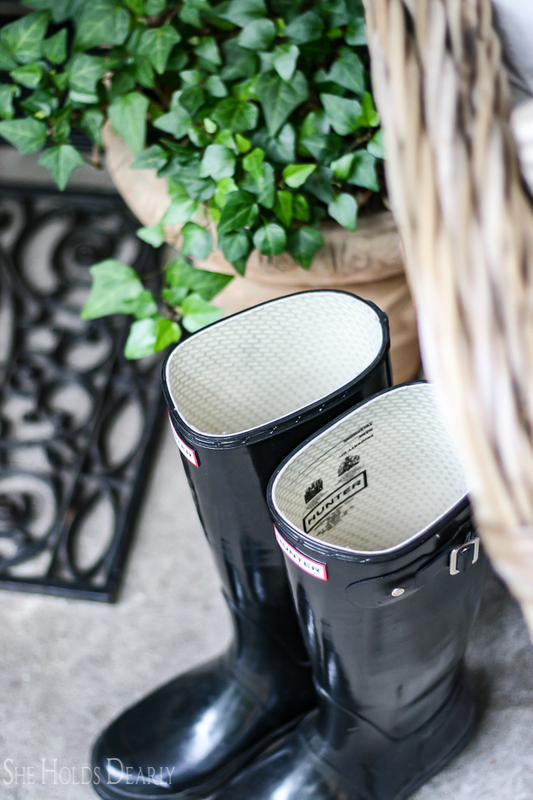 Adding in a pair of rubber boots to my decor always warms my heart and I remember the pile of little boots by the back door at my parents house. Farmkids know that a pair of good gloves and a pair of rubber boots are staples for that kind of lifestyle. 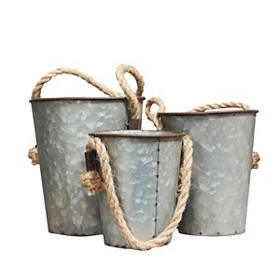 I chose a set of three galvanized buckets with rope handles to represent the days my father milked a cow so I could have fresh milk in my baby bottle. 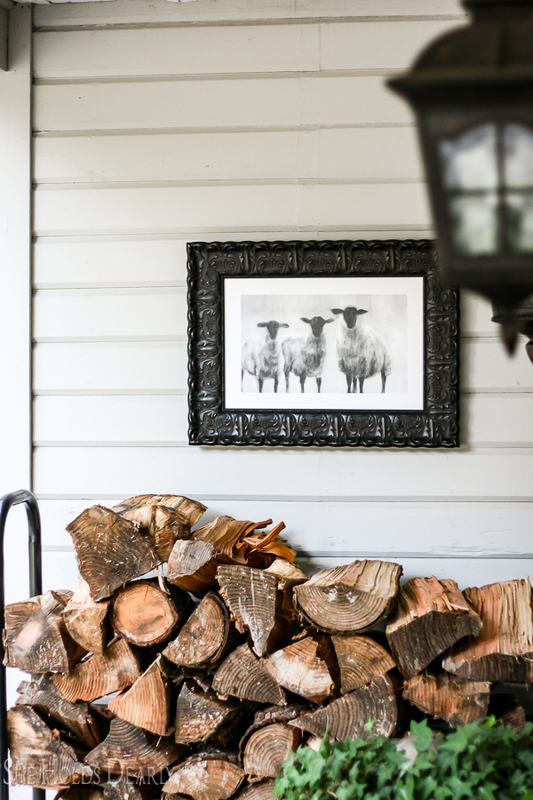 Then, I chose this darling lamb picture for above our firewood. It spoke to me instantly because there were “three”. 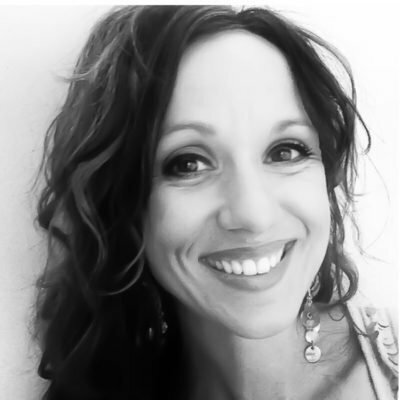 After my third child was born, the number 3 became very significant to me. 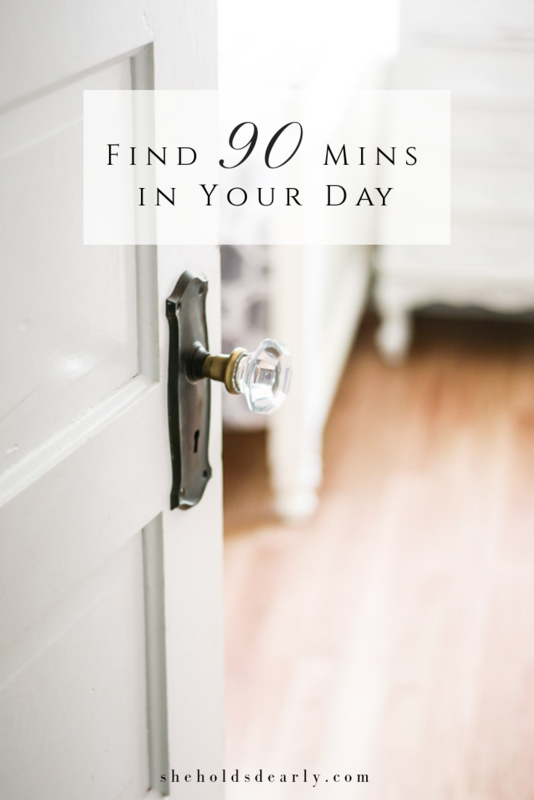 Have you ever thought about incorporating your favorite number somehow in your decor? 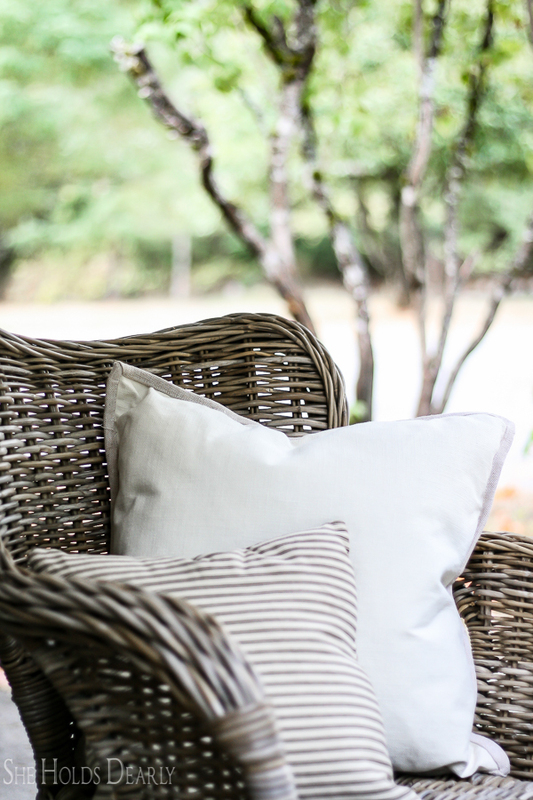 tucked a couple of linen feather pillows from Kirkland’s into the wicker chairs and called it good. 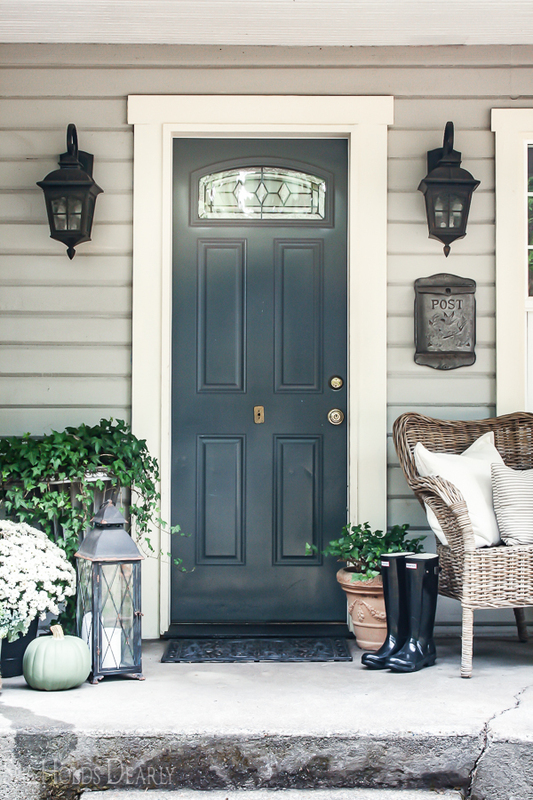 Awww, a simple, sentimental farmhouse porch is just the thing to celebrate the new season. 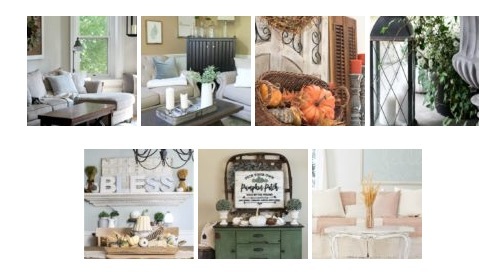 If you are interested in the products found at Kirkland’s, I have linked the images below. 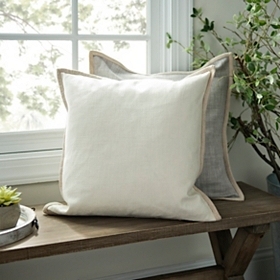 The lamb picture and linen pillows just went on clearance! Wahoo! Thanks! Oh, and I can’t wait for Christmas either! I like the woodgrain Laney floor lamp! Your porch is so adorable! 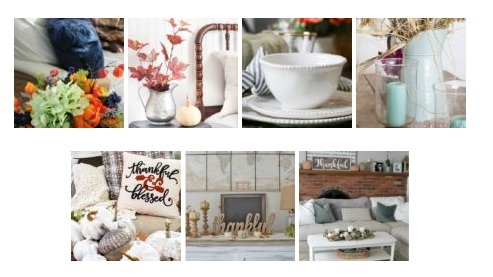 I love all the little touches you put together and the pieces you found at Kirklands. Awe, Deb, you’re so sweet! I think your house is beautiful as well. I have porch envy right now. I would never leave that spot! 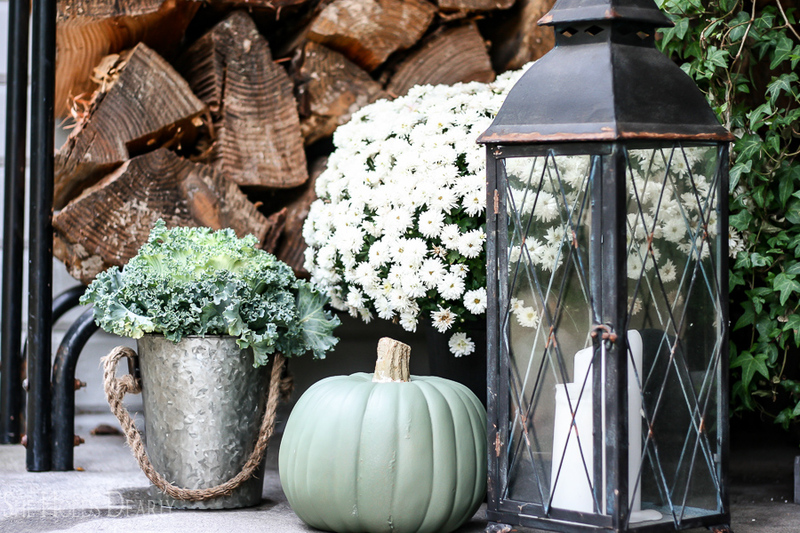 It is perfect for enjoying the fall weather! I love how you decorated it for the new season! Oh my goodness! What a gorgeous porch! Everything looks so cozy + welcoming! LOVE it!!! Sarah, I love, love your porch. The color scheme is so classic. Boots, tennis rackets ~ you are my kind of girl. It looks so inviting. Call me JEALOUS. So happy to be introduced to you on the the Fall Tour. Oh, I hope you’re not jealous, just inspired! xoxo So nice meeting you, too! 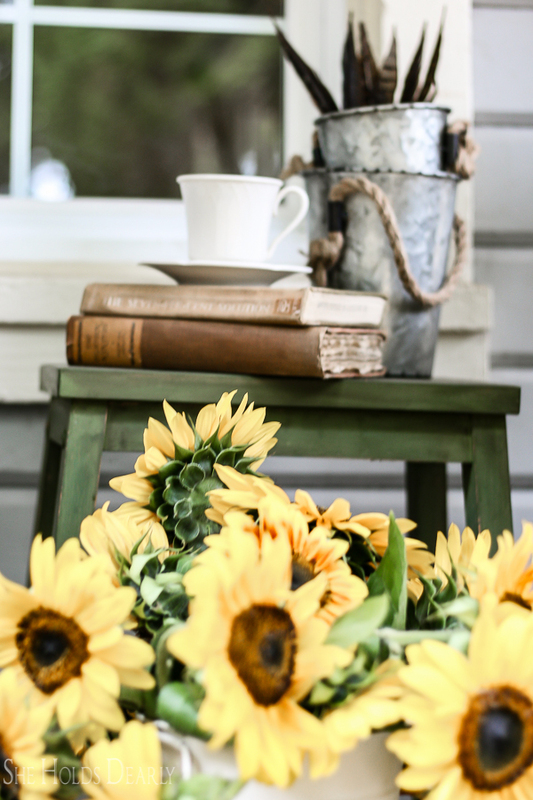 Sarah – you porch is gorgeous! I love all the mums! Stunning, my friend! This is absolutely beautiful! 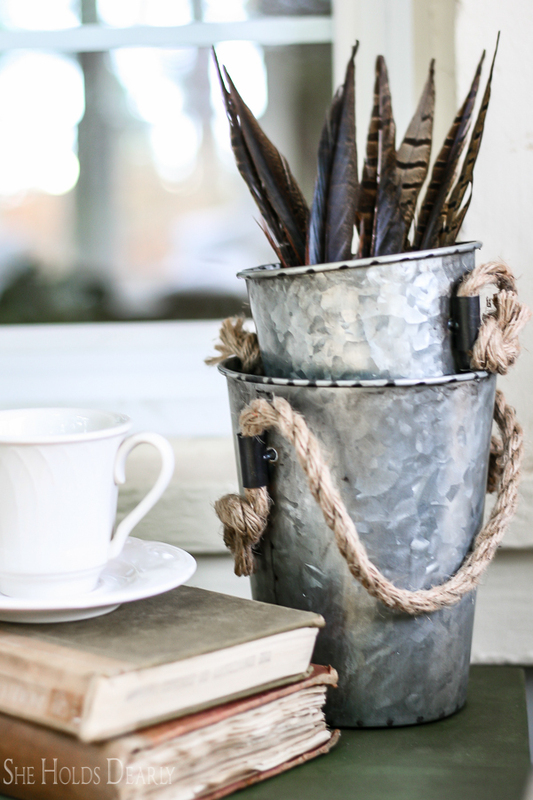 I could spend all day on this porch reading a book or writing in my journal! Love it! So nice “hopping” with you this week! You too! Thank you so much for stopping by! 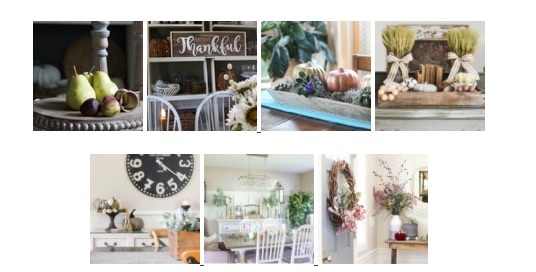 I love meeting new people who have the same passion for decorating. 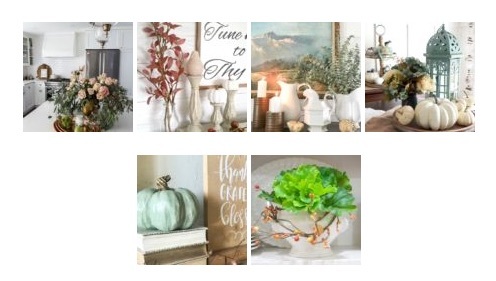 It’s absolutely amazing, your fall decorations, Sarah. You picked some great finds at Kirkland’s, my friend. So perfect. Sarah, love, love, love your porch! I do like to add those touches of sentimental things to my own decor! It just makes sense! Great tour! 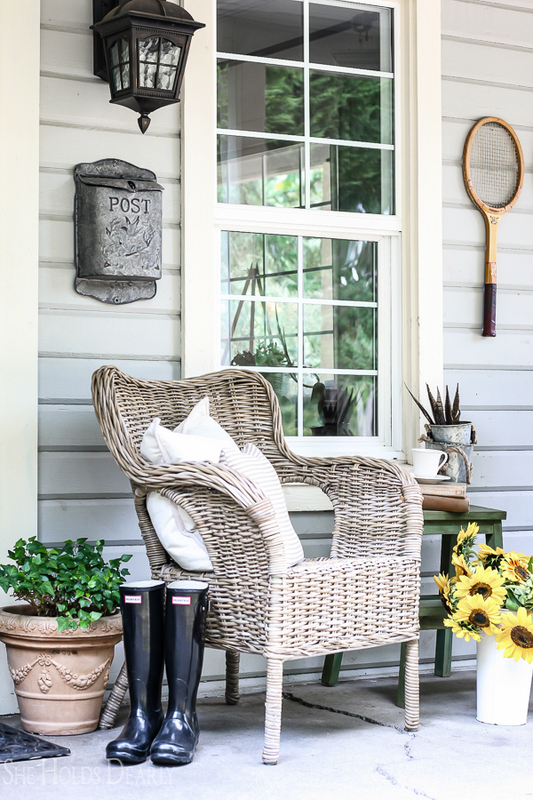 Your porch looks great and so welcoming. 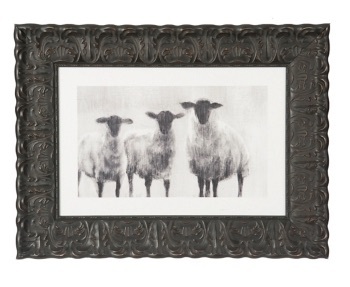 Love the sheep print! We have something in common – my parents divorced when I was young but my dad had a cattle farm so I spent a lot of time there while growing up. I still love animals and especially farm animals. I’m sorry about your parents, it must’ve been awful. How sweet that you were able to grow up on a farm. Love you porch! It is so welcoming. I found a number of items on Kirkland’s website that are very enticing. I’m looking for a new table and I just might have to buy the round espresso table. Oh I’m so happy that you found such great treasures at Kirkland’s! Thanks for letting me know. 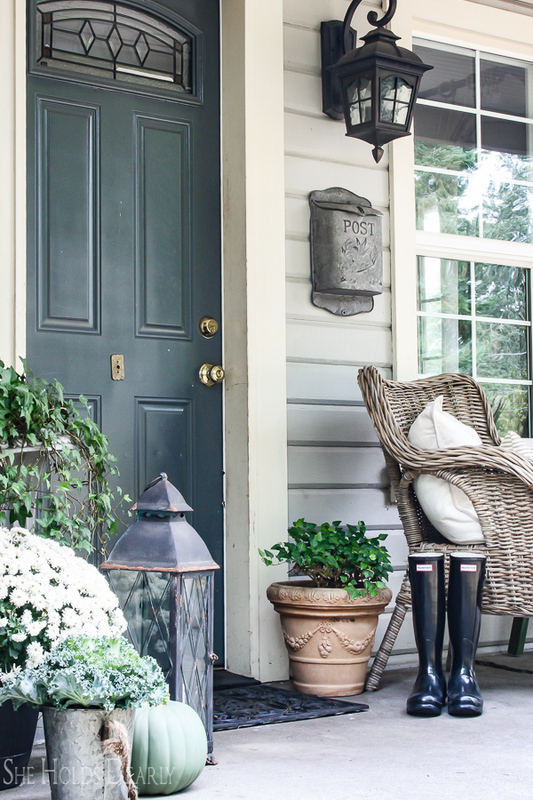 I have major porch envy right now. This is Beautiful! Perfection my friend! ? Sarah you are one of my favorites! You always have such amazing and effortless style! 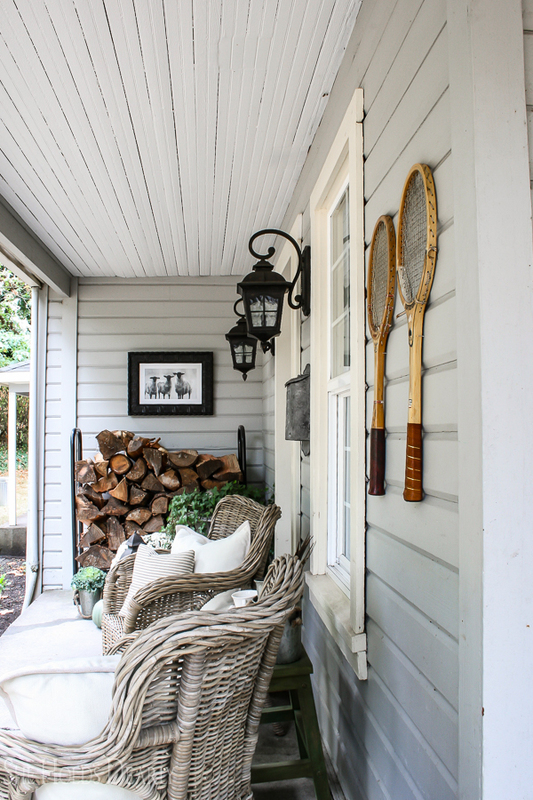 I love your Kirklands picks and they fit just perfectly in with your porch decor! Loved your tour as always! It is such a cheery little spot! 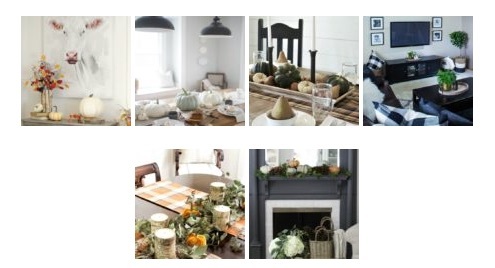 I love all your fall touches especially that little lamb photo. So cute! Thank you, Amy, that lamb pic is so heart warming, isn’t it? Sarah, I don’t think I have ever seen so much of someone’s personality shining through their decorating. 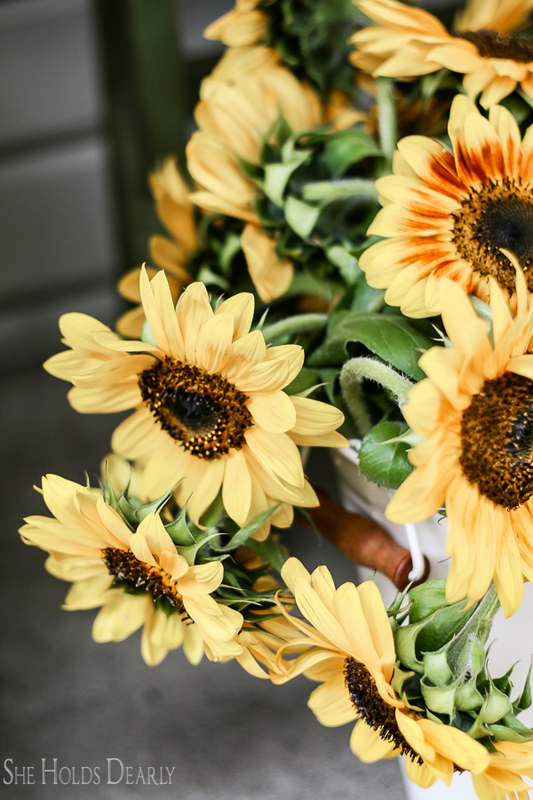 I love every single thing about your pretty and personal front porch! Wow, you really know how to compliment a girl. Your words mean so much, I really appreciate you. I love your porch! 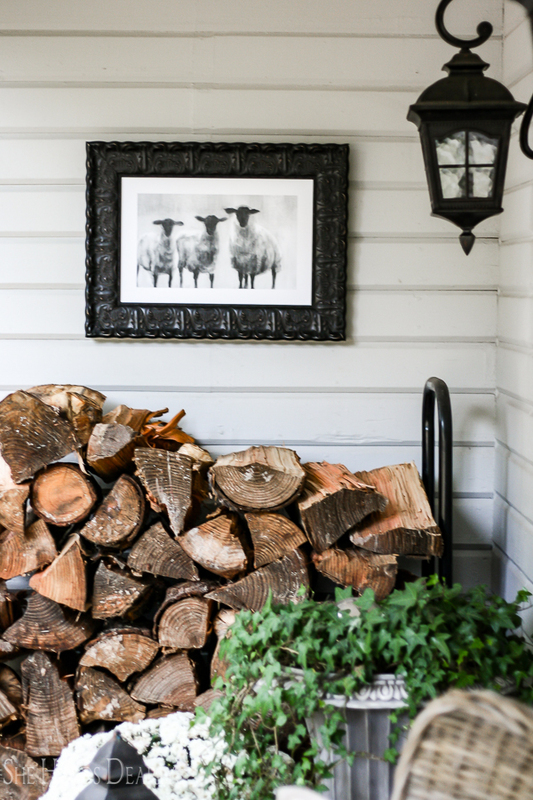 We store our firewood on our back porch but I am loving the way yours is used as part of your decor! I may need to have to move ours to the front of our house now! Wonderful tour! Oh, I’m so glad that you found some inspiration! That means a lot coming from someone as talented as you! Can I have your porch? So beautiful! And that lamb picture is just too adorable. Haha, you crack me up! I totally agree with you on the lamb picture! Beautiful. You are right that some houses lack sentimental personal objects. Thank you for sharing your thoughts and house. Thank you, my dear. It’s sad, but true about the missing sentimental pieces. Hi I love your front door color. Could you tell me the color please? Hi Sherry, the door color is Web Gray SW7075 by Sherwin-Williams. Wonderful decoration! I love the neutral colours that you chose – they are lovely! What color is the door?.. I have to have it ..